Wondering what academic life at California Institute of the Arts will be like? In addition to the degrees and majors, as well as the faculty composition at California Institute of the Arts this section includes detailed information on freshman retention rates, reasons students did not graduate, and an analysis of full-time and tenured faculty vs. adjunct teaching staff. What's the point of going to college without academics? Find out more about the faculty and staff, what majors and fields of study are offered at this college, and information on online classes if offered. Here are some of the things you'll learn in this section. The student to faculty (instructor) ratio. 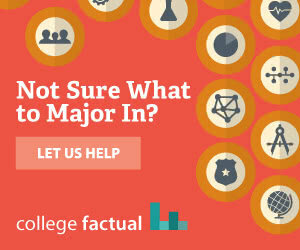 The Majors offered at this college. What online and distance learning options are available. The total number of instructional staff teaching the 959 undergraduate students at California Institute of the Arts is 269. When this is adjusted to account for those with part-time status, the result is the "full-time equivalent" (FTE) count. Using the FTE count for students and staff results in a "student to instructor" ratio of 7 to 1 which places California Institute of the Arts among the best concerning instructional attention. For every instructor (FTE) at California Institute of the Arts, there are 7 undergraduate students (FTE). This ratio is among the best regarding instructional attention. The majority of the instructors (58.0%) are full-time. The vast majority of instructors (100.0%) are "faculty" rather than "lecturers". The majority of the faculty (58.0%) are full-time. The vast majority of the faculty (100.0%) are adjuncts (not in the tenure system). California Institute of the Arts offers 18 distinct undergraduate degrees, concentrated into 8 majors within 1 broad fields of study. Across all fields of study, California Institute of the Arts awarded 192 undergraduate degrees in 2016 - 2017. Are you looking for a lot of flexibility? Does this college offer online or summer classes that might help you finish your degree?